Automated Telephone Self-Management Support System. Podcast: Healthcare 411: News Series From AHRQ. Podcast: Addressing Low Health Literacy at the Community Level. December 12, 2012. ATDM Protocol: McLean I, Schneiderman M, Palacios J, et al. Automated Telephone Disease Management (ATDM) Protocol, 2004. 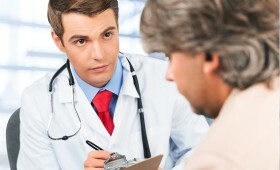 Training Manual for Group Medical Visits: McLean I, Hammer H, Lin L, et al. Group Visit Facilitators Training Manual and Protocol. Self-Management educational materials of Heart Disease, Arthritis, Diabetes, Depression, Asthma, Bronchitis, Emphysema & Other Physical & Mental Health Conditions. Lorig, K., Holman, H., Sobel, D., Laurent, D., González, V., & Minor, M. (2006). Living a healthy life with chronic conditions (3rd ed.). Boulder: Bull Publishing. A workbook to help the older adults learn about healthy aging to address the issues chosen for the action plan. Instructor manual to train community health counselors. YouTube video about the content and the background of Talking Touch Screen, which is a tool to be able to fill in surveys within pyshiotherapy treatment. A guide to hosting network meetings, also other key resources are available from this link. A guide to setting up inter-generational digital inclusion project. Links to other sources for digital skills for the aging population. 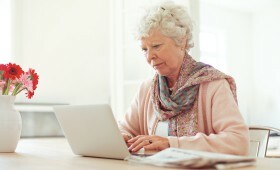 Using multimedia: videos by and for older people. Den Einstieg in die digitale Welt vermitteln – ein Leitfaden für Multiplikatorinnen und Multiplikatoren. Website with projects concept and experiences (in German). Website BU Alzheimer were people can get in contact to join the programme. Link to a pdf/print version of 3 main questions to improve health communication between patients and health professionals by encouraging the patient to ask three questions during each visit. Video as example how to use Ask me 3, website links also to information in Spanish. Website in English and Spanish language with links to different tools which help in self management. Website with links to different tools which help in self management: videos on astma and diabetes for example. A platform to develop cognitive competencies, to learn the knowledge that should have been obtained for a school / college qualification. professionals and tools which can be used with the target group itself. The Quickscan is a toolbox containing 4 tools for: written information, oral information, digital information and a navigation tool (walking interview). Each tool consists of a self-evaluation checklist for hospital professionals and tools which can be used with the target group itself. Open tool >>.